We built a greenhouse a couple of years ago, and it is probably one of the smartest things we have added to our homestead. After lots of research and review-reading, we decided on the Solexx greenhouse material. 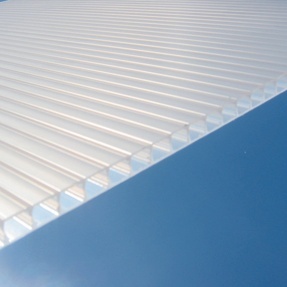 Solexx panels look kind of like corrugated cardboard, yet they are made of white plastic. Looks like this- picture on the right. The panels are very strong and sturdy, and the spaces made by the corrugation provides effective insulation from temperature extremes. When I first saw the Solexx Greenhouses, I wondered, "How can the interior get enough light for the plants? Doesn't it need to be clear, like glass?" But further research revealed that this material provided a very bright, diffused light inside the houses. Because it was not clear, that prevented "hot spots" and burning of the plants. And as I researched further, I found repeated over and over again the same theme: that these panels promoted amazing plant growth. And after building our own Solexx greenhouse, it was confirmed and we became believers! Solexx panels are the best greenhouse covering on the market, hands down. Coupling Solexx with hydroponics has produced some of the most amazing, prolific gardens we have ever experienced! 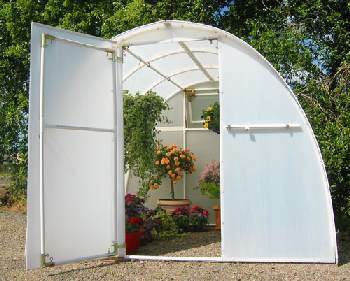 And so, we highly recommend Solexx Greenhouses to anyone in the market for a greenhouse gardening structure. We actually ordered rolls of Solexx and constructed a custom design. But we recommend their simple, unique, all-inclusive greenhouse kits as well. 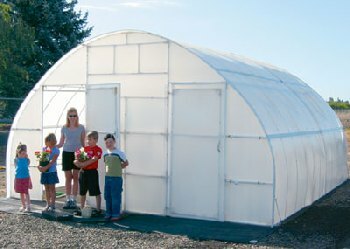 Solexx puts out a line of greenhouse kits to fit any budget or need. We describe them briefly below. The Early Bloomer is an affordable starter greenhouse kit capable of containing tall plants or small trees. It measures 8' x 8' and is a roomy 6'3" at the peak. This lightweight greenhouse is portable, so you can actually set it right over a newly planted garden. 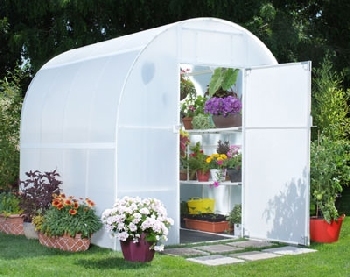 Buy Solexx Greenhouse Kits at a discount here: Solexx Kits. The Gardener’s Oasis is Solexx' biggest seller, and an awesome intro to greenhouse gardening. 8' x 8' x 8 ft. tall; with rounded peak. Make it 16' long with expansion kit. 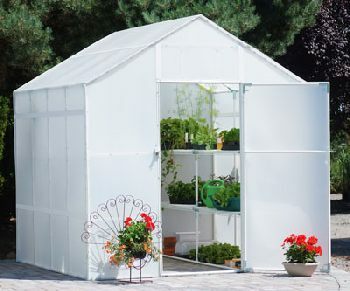 Garden Master is a spacious, European-style greenhouse kit. Has 6'6" tall outer walls and a gable that peaks at 8'9" for ample headroom. Expandable up to 24' long. Conservatory Greenhouses are Solexx' largest greenhouse kits, and are popular with commercial nurseries and schools. 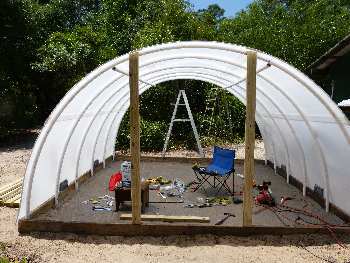 The basic 8’ x 16’ x 9’6” tall model is expandable to 20 foot length. Our homemade, custom design 12' x 12' Solexx Panel Greenhouse with hydroponic gardens runs totally on either house current or solar panel (off the grid). 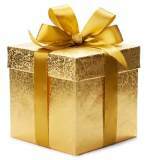 For instructions on how to set that up, click on the next link (Survival Greenhouse Plans). 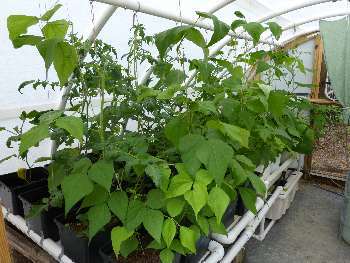 We used these instructions for a Survival Greenhouse, and are very happy with the results: Survival Greenhouse Plans. Learn all about the best way to grow, preserve and stockpile your own healthy heirloom or organic veggies here: Survival Foods. 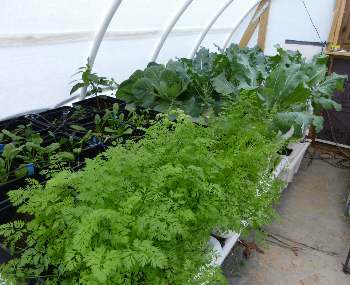 Explore Square Foot Gardening and Hydroponics here.